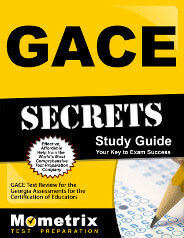 The GACE Marketing Education Assessment is a test designed for individuals desiring to teach marketing, in the state of Georgia, at the secondary level. The assessment consists of 2 different tests, which may be taken individually or together on the same day. Both tests are computer-based in format with 2.5 hours given to complete each test. 30 minutes is added to the testing time for computer testing tutorials, etc. Each test is made up of 80 selected-response questions, such as matching, multiple choice and/or true-false questions. The questions on both tests assess basic knowledge and skills in the content area of Marketing, as well as the ability to apply these skills in a secondary classroom setting. Do you need help preparing for the GACE Marketing Education Assessment? No problem! There are several types of study materials available to use, such as interactive practice tests, tests at a glance (which give a quick overview of the tests), tutorials, videos, webinars and other strategies and tips. Georgia is looking for special people to inspire the next generation’s visionaries – are you one of those people? 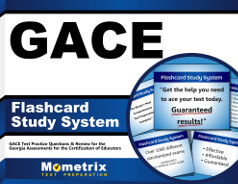 Register to take the GACE Marketing Education Assessment today!